This article is about the geological formation. 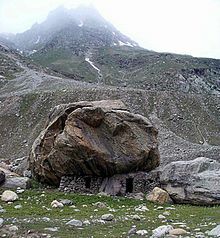 For landslip protection, see Rock shed. 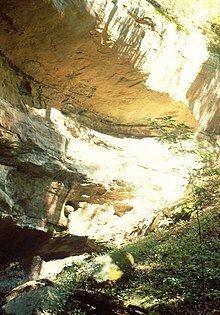 A rock shelter — also rockhouse, crepuscular cave, bluff shelter, or abri — is a shallow cave-like opening at the base of a bluff or cliff. In contrast to solutional cave (karst) caves, which are often many miles long, rock shelters are almost always modest in size and extent.